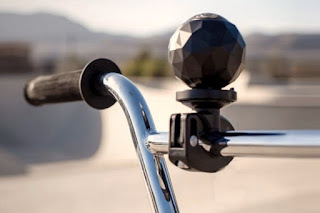 I`m not sure about the advantages of single-lens systems for 360-degree video, but, at the least, it simplifies the content capture compared to multi-lens systems like the GoPro Omni or the Samsung Gear 360. If you prefer your spherical content stitch-free and instantly ready after shooting, then you’ll probably like the new 360Fly 4K. 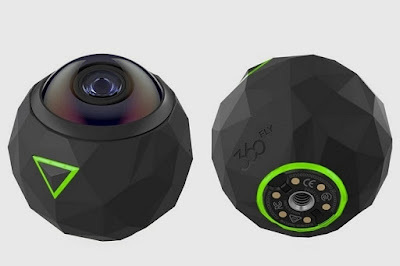 A new version of the outfit’s popular 360-degree camera, this one boosts the resolution to ultra-HD, giving your spherical videos more detail without having to stitch individual clips after recording. It does that while retaining the same general design, too, so you get the same portable camera while recording better images. The 360Fly 4K uses a new 16-megapixel image sensor, increasing the capture resolution to 2,880 x 2,880 pixels with no post-production stitching. Aside from the higher resolution, the camera comes with livestreaming capabilities via the Livit app, so your fans (all five of them) can enjoy your dizzying footage in real time. Designed for rugged use, it’s shockproof, dustproof, and water-resistant, apart from coming with a first-person mode for nabbing POV action footage. It retains the original’s single-button operation, along with a 360-degree time lapse mode. Onboard GPS, accelerometer, and altimeter records location, altitude, and speed for detailed action footage data, which it can overlay into the content via a third-party app. Features include 64GB of internal storage and a battery rated at 90 minutes of recording time.